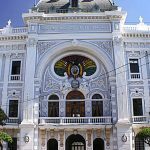 The region of Santa Cruz in southeastern Bolivia, bordering with Brazil, was named “Chiquitos” by the Jesuit missionaries from Europe who arrived in the late 17th century. 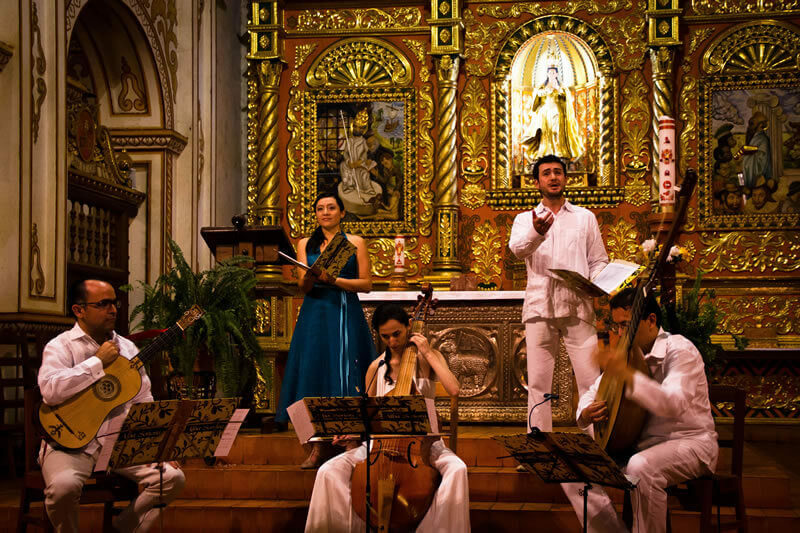 The Jesuits brought their European instruments like violins, viols, flutes and harpsichords to these indigenous jungle communities, who adapted to them and became talented baroque and renaissance musicians, a tradition preserved to the present day—even after the expulsion of the Jesuits in 1767. The old Jesuit missions of Chiquitos: San Javier, Concepción, San Ignacio, Santa Ana, San Rafael, San Miguel (1691 – 1767) and those of Moxos (1681 – 1767) represent one of the most important treasures pertaining to the national and regional culture heritage. During the restoration process of Jesuitic temples at the aforementioned missions, a musical wealth of the first magnitude was discovered: more than 5,000 sacred music sheets in Chiquitos and another 4,000 in Moxos, written by both European and local indigenous composers between the XVII and XVIII centuries. This music was used to play in those missional towns every day up to mid-nineteenth century. It should be added to this treasure that in 1991 the UNESCO has declared six missional towns and the temples therein a Humankind Cultural Heritage. 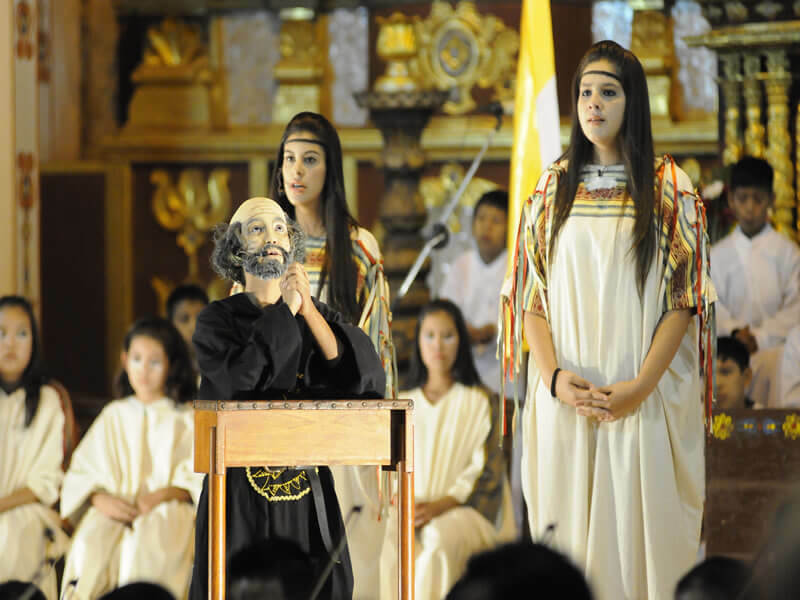 In order to preserve the beauty of this world heritage, and disseminate the wealthy musical archive of Chiquitos and Moxos, a bunch of volunteers entertained the idea of organizing an international musical festival which would have the magnificent temples as its stage scenery; however this goal is deeply rooted in a grounding “leit motiv”: to awaken the citizens to the importance of this historical legacy as the kernel of our culture identity by means of turning the old Jesuit Missions of Chiquitos and Moxos into public knowledge icons, disclosing besides an unknown facet of our own country which involves several pillars from its cultural wealth. Since 1996 such dream is being successfully accomplished. 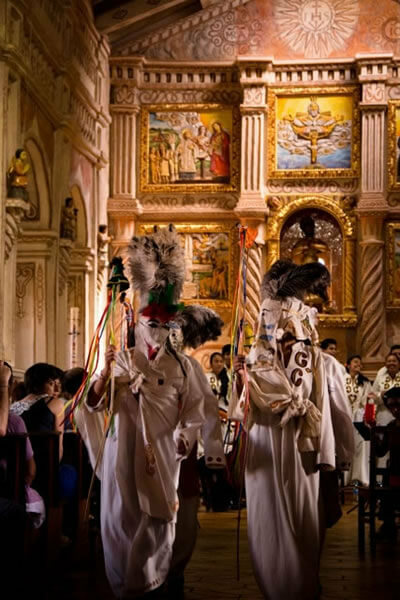 Deemed to be the most important cultural event within Bolivia, and the world’s largest event at its kind, the festival is carried out by APAC every two years. The next one will be held in April/May 2014. 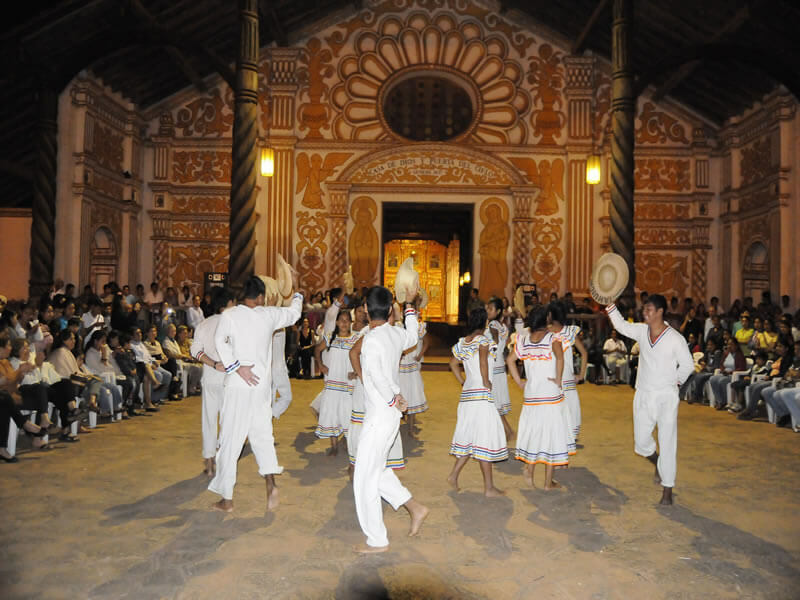 This festival constitutes a joyous occasion, wherein music makes tropical forests harmonize with scattered tokens of Baroque architecture which are throughout a journey 3,000 kilometers long interspersed among conspicuous symbols of art and craft, that depict the living multiculturalism actually existing in 18 communities which are found in Eastern Bolivia. Source: APAC – Festival Organizer. The festival is enrolled in the circuit of the more important musical festivals of the world. The festival has been sistered with the Festival of Sarrebourg (France) one of most important of Europe. 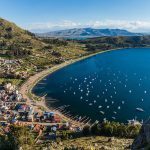 A series of videos has been published, in which the festival is not only promoted, but the whole Chiquitana region from the tourist point of view. The festival has published several compact discs (CD’s) with a selection of representative music from each Festival in which priority to the music of Chiquitos. 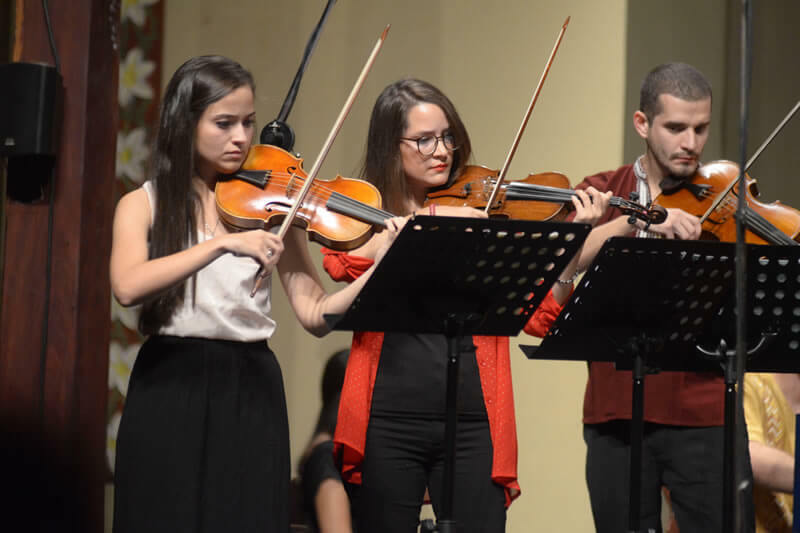 Support has been obtained for the improvement of the manufacture of violins in all the region of Guarayos has been obtained. Support of the Government of Holland has been obtained for the project of musical formation of the children and young people of Urubicha. 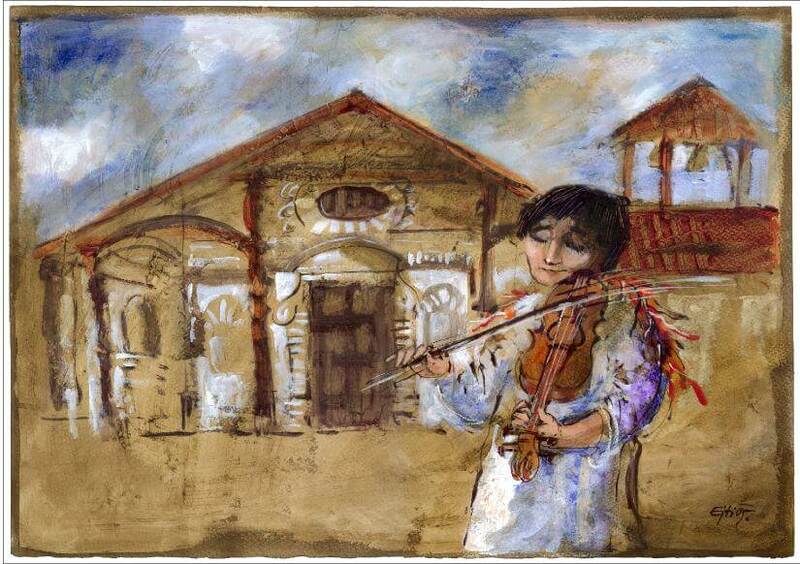 The old musical archive discovered in the Jesuit missions in Chiquitos, Bolivia is a real treasure. One example are the music compositions by the Italian Jesuit Baroque composer and missionary Domenico Zipoli (1688-1726): two Masses, two psalm settings, three Office hymns, a Te Deum laudamus and other pieces. 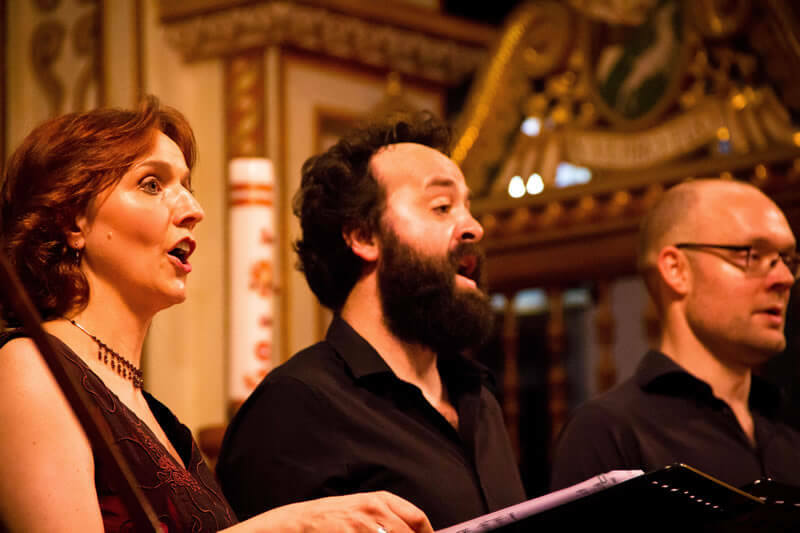 The opera: “San Ignacio de Loyola”, often performed during the Baroque Music Festival and compiled by Martin Schmid (1694-1772) Swiss Jesuit missionary, musician and architect) in Chiquitos has been attributed to Zipoli. – The program “The Strand”, BBC network from UK about the VIII International Baroque Music Festival 2010 held in Abril/May 210 with an interview to Fr. Piotr Nawrot (artistic director of the Baroque Music Festival-Chiquitos), Mr. Ashley Solomon (director of UK Baroque Music Ensemble ‘Florilegium’) and Simon Aguape (talented Guarani indian violinist)- go to minute 14:40. Would you like to hear the music of the performances? Then come visit our office to check our selection of CD´s and books. Interested in knowing more about when/how to attend the next International Baroque Music Festival?
! Is it not possible for you to plan your visit during the music festivals? 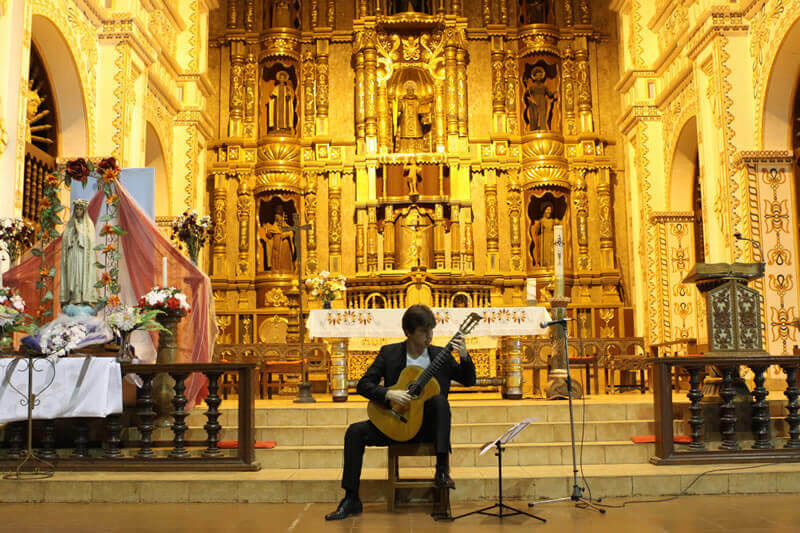 No problem, we can arrange a private mini-concert so you can taste a bit of it during your visit to the beautiful missions! 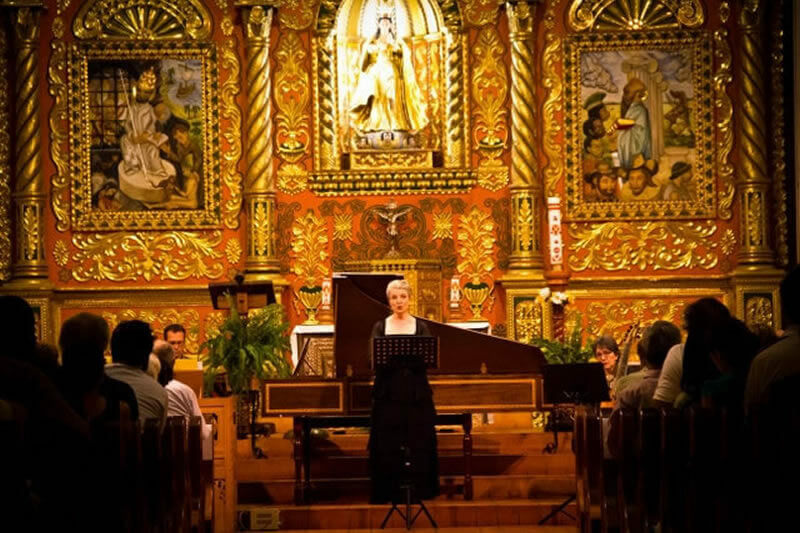 Read the comments from people who have traveled with us to the Jesuit Missions during the International Baroque Music Festival.